THE DESIGNER HAS STARTED CHARGING FOR THIS PATTERN AND IT IS NO LONGER FREE, UNFORTUNATELY. SORRY. This beginner sewing pattern could become your gift-wrapping go-to project for all occasions: birthday presents, baby shower, anniversary, teacher-appreciation, and the king of all holiday seasons – Christmas! Now's the time to make them and stock up on gift wrap. It's the only type of gift bags that will last, and be reused, even thrown in the washer – and that will let you showcase your pretty fabric! Take a look at this Wine Gift Bag Free Tutorial. HI I love this pattern and have bought the materials but my work browser will not let me open the pattern instructions. is it possible to send me the Fabric Gift Bag Pattern as a PDF? This pattern is NOT FREE! The page links you to Craftsy and it costs $5 to get the pattern and totorial! It’s $5, it’s not free. Just letting you know. Thanks! 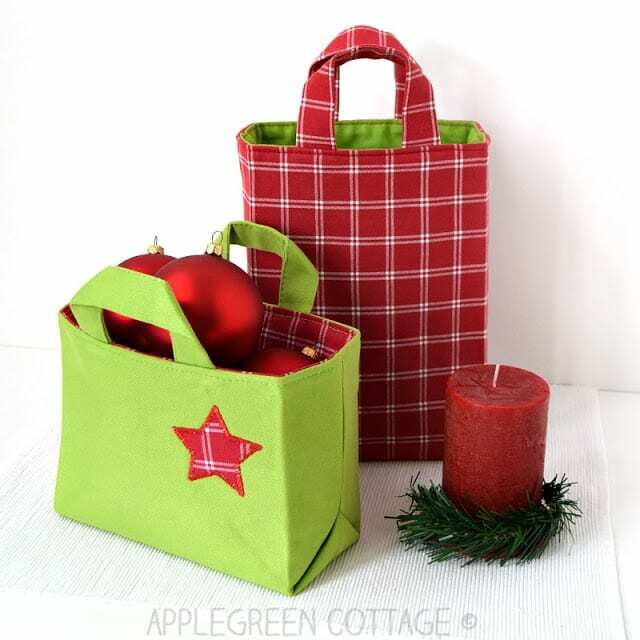 When you click on the green button above it moves to link: https://www.applegreencottage.com/2017/09/fabric-gift-bag-with-handles-pattern.html. It is for the free “Fabric Gift Bag Pattern – Perfect for Christmas”. When on the Apple Green web site all links for the “free pattern and instructions” listed above go to: https://www.craftsy.com/sewing/patterns/fabric-gift-bag-for-christmas/509959?SSAID=1022712&sscid=b1k2_9k11o&sasClickId=b1k2_9k11o&cr_linkid=ShareASale_Banner_ShareASale&cr_maid=46579&cr_source=ShareASale&cr_medium=ShareASale. The Craftsy web site has the pattern listed at a cost of $5.00 for the above pattern. 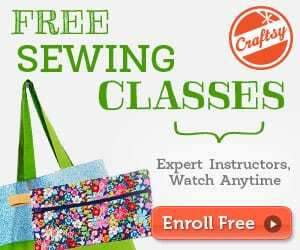 The listing above on sewing4free.com alleges it will be free. Please develop as needed. Thank you. This takes me to a page that links me to the craftsy site where i oay for the pattern. 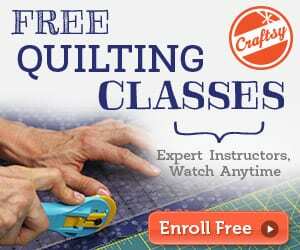 Where’s the freebie, hence “sewing for FREE”? Says this pattern is free but it is not. Why?